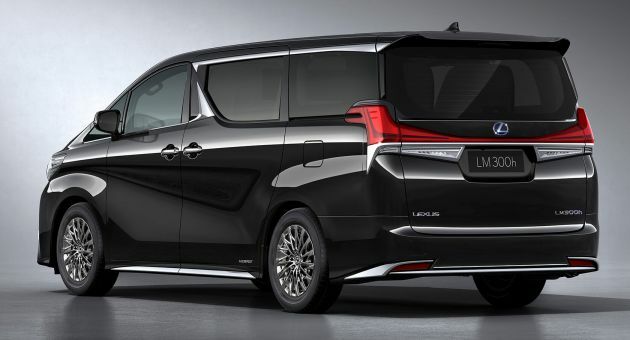 Now, the Alphard and its slightly sportier Vellfire sister can be had in standard and Executive Lounge specification, with the latter boasting higher-spec captain seats in the middle row. These two individual chairs are larger than regular items and have massage functions. A much less common sight at the valet parking is the Royal Lounge. This ultimate Alphard/Vellfire spec transforms the boxy MPV into a four seater, with just two chairs behind the cockpit. The seats are even plusher than Exec Lounge items (fully reclinable to a flat bed), there’s a partition between the cockpit and cabin for privacy, and the entertainment system includes a big screen and JBL sound bar. There’s also a mini fridge. For the Lexus LM, the Royal Lounge is the spec to beat, and it does that via the details. Described as “an unrivalled chauffeured experience,” the brand’s first MPV is also a four-seater like the Royal Lounge. The two boss seats are stuffed with plush low-density urethane foam that offers ideal support with couch-like comfort, Lexus says. They are cooled using suction ventilation. The “ultimate comfort space” also comes with a 26-inch screen, fridge, umbrella storage, and centre console with a touch control panel. The latter controls the seat position, relaxation function, climate control and Mark Levinson audio. The latter is an obvious upgrade over the Royal Lounge’s JBL sound, while the screen is two inches wider. This being a Lexus, there’s bound to be some exotic sounding craftsmanship story. The LM comes with loads of soft leather and the newly-developed Gin-Sui-Boku (Silver Ink) ornamentation inspired by the art of ink wash painting. There aren’t pictures here, but the LM can also be had as a seven-seater for business people who also intend to use it as family transport. This Executive Lounge-style three-row format offers individual luxury bucket seats for the first two rows and a third row bench. The middle row seats are distinguished by larger, more supportive armrests, Lexus says. The Lexus LM will be offered with two engines. The LM 350 is powered by a 3.5 litre V6 petrol engine while the LM 300h seen here is a hybrid with a 2.5 litre Atkinson four-cylinder engine. One can choose from front-wheel drive or AWD. Ride comfort is handled by swing valve shock absorber technology, first introduced on the Lexus ES. 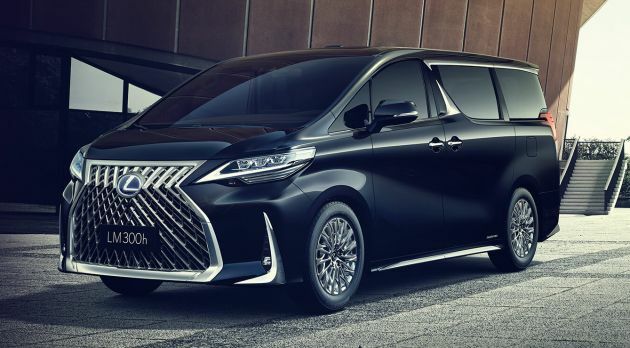 The Alphard body wears Lexus’ trademark spindle grille, which is chrome plated with flowing accents here. Flanking the massive grille are sharp triple beam LED headlamps with the brand’s signature ‘tick’ daytime running lights. Moving to the side, look for the shiny bits to distinguish the Lexus – dual arrowhead chrome ornamentation on the centre pillar and those elaborate wheels. At the back, the LM stands out with full-width lights and a chrome bridge. Both extend into the sides. Only two colours are available: black and pearl white. 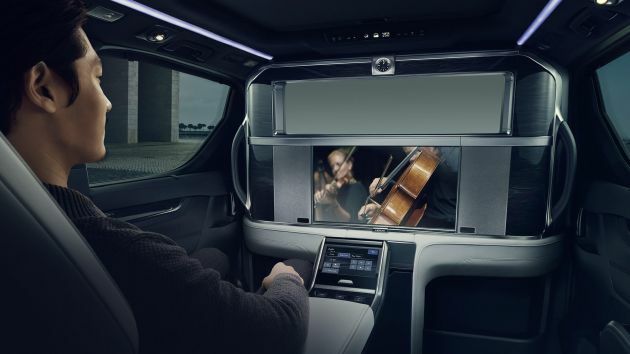 “Compared to traditional luxury vehicles, Lexus envisions a luxury environment creating a personal space that helps occupants perform better in business and also maximises time when on the move,” Lexus says. So, this or a traditional limousine like the Mercedes-Benz S-Class/Maybach, BMW 7 Series and Lexus’ own LS? Waiting for Aruz LM. Hahaha. I love the Aruz. Such a reasonable priced high quality 7 seater. Wow the price must be sky high! Hopefully it will launch here as well because we now can know who is the truly rich people. Now those who own Alphard/Vellfire will no longer think they’re richer than everyone else, haha! wow. they really milking their MPV platform. The front grill is too much for me. Back is fine but not the front. Wait la till this Lexus LM got hi beam from BMW X7 and left 3km away in no time. Makan asap only.. Stupidity without barrier, 65” sitting so near to such display size… u wont suffer dizziness and neck-ache? After some time, there will be lot of Lexus LM Bodykit conversion for sale, and “Lexus LM” will be everywhere in Malaysia. Imagine driving on NKVE and hitting some rubber piece fell off some random hauler, a small hole will cost you probably RM30k just for the grilles. Toyota fanbois be jizzing in their pants. The Ah Beng now driving God car Vios inspire to own this God MPV. He already has plans to upgrade the sound system so his Mando-pop can be blast out at full volume, body kit, larger rims, 25% vlt tint all windows, change sports exhaust …. But first, must drive to those hang flower pubs to show off to the GRO girls there. Previous Post: Perodua Bezza Limited Edition – all 50 units sold out!